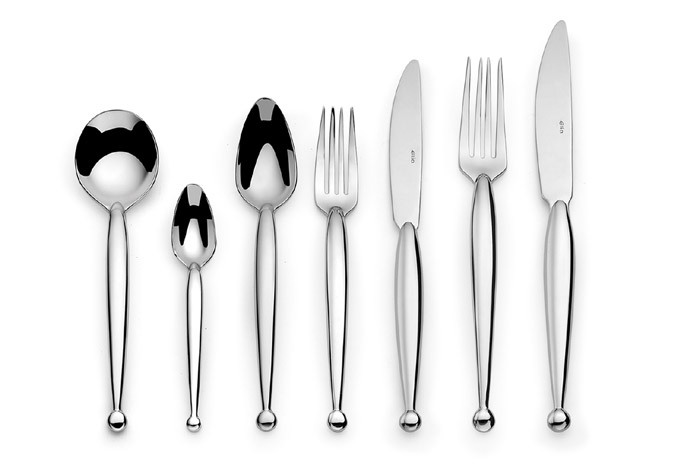 Elia Majester Cutlery is a derivative design of Jester. Skilfully forged in extra heavy gauge and comfortable to hold. Each piece incorporates a striking unusual handle that tapers to a distinctive sphere, offering truly unique table-top style.